Where Did You Hear Of Camarosource.ca? : Found it on a random camaro search. 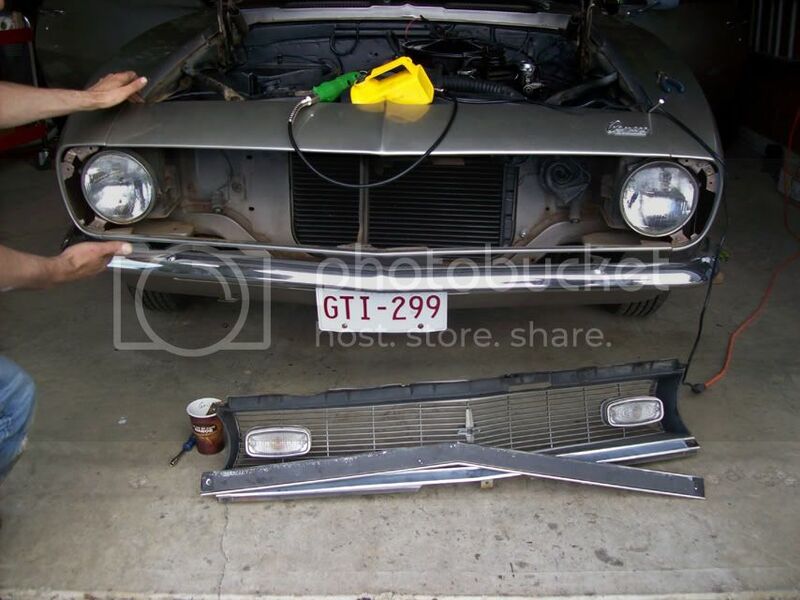 How do you remove the grill off of a 68 ? It's cracked in a ferw places and I want to repair and paint it, but first I have to get it off. Every so often I stop, look around, and wonder ... what I got myself into! This time the answer is ......A CAMARO BABY!! Thanks again Lane, hey did you check out that other forum? The one with the possible Yenko. Can you reccommend a good Camaro restoration guide or book? This is from the 1968 Camaro Assembly Manual, you can get one from Classic Industries. So according to the pic it looks like I'll have to take the spoiler off, or am I just reading it wrong? it seems it's easier to leave the lower valance panel on and chisel the rivets off. Hmmm, either way sounds like it's gonna be a job! Has anyone ever delt with Matt's classic bowties? how reputable are they? they seem to have very reasonable prices, like the grill for instance. Rick's $85. Matt's $65, not sure of originality though. any help would be greatly appreciated. Here's a link to Matt's. This project is getting expensive! Never heard of Matt's. But I'd buy one rather than repair the old one. Also took out interior today, seats, carpet, and cleaned everything up to prep for installation of new carpet and underlay, and we found a little bit of trouble, not too bad though. 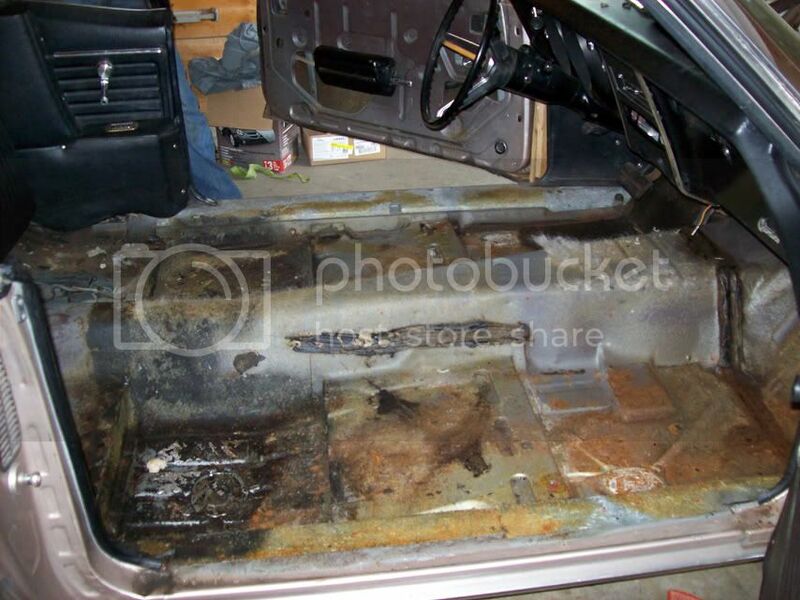 A little rust behind the rear seat, can see the road lol. 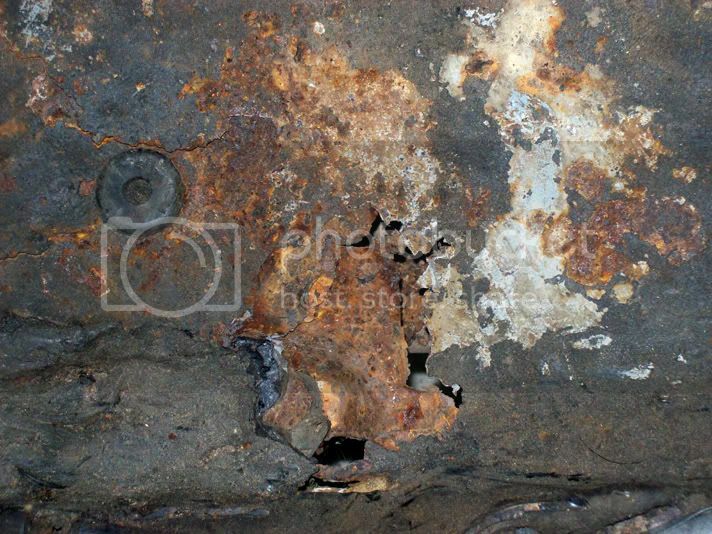 I wish we could just replace everything rusty and dull, but we have a budget to follow, money's pretty tight in Canada right now, gas is like $6 a gallon, stations are talking about striking this week. Floor doesn't look too bad. The bad area is small enough for a patch panel for now. I'd wire brush and hit the rest of the rusty areas with POR 15. Thanks guys for the imput, but I decided to fix the existing grill for now anyway, to save money. I also painted it all black.I'll post pics when it's installed. Yeah, now that it will be held in place with screws rather than rivets, it will be a lot easier to R&R later. I agree, and it came out pretty good too.